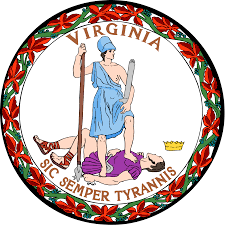 Last week, two bills that were attempting to redefine how the Commonwealth of Virginia treats marijuana were again defeated in the General Assembly. A bill to legalize marijuana for adults over 21 years of age was defeated by a vote of 6-2. While a bill to decriminalize marijuana, making it punishable by a civil fine of $50.00, was defeated 5-3. For the past several years, similar bills have been proposed during every session of the General Assembly, and they are yet to make it out of the Courts of Justice subcommittee. However, some jurisdictions in Virginia are taking matters into their own hands when it comes to the enforcement of current marijuana laws. Since the election of a new Commonwealth Attorney in November 2018, Chesterfield County has also drastically changed how they treat possession of marijuana charges, including possession with intent to distribute cases. In the coming months, we will see if other jurisdictions around Virginia follow suit. It should be noted that possession of concentrated THC oil, commonly known as dabs, wax or shatter, is still defined as a Schedule 1 drug and is punishable as a class 5 felony. There has been no official legislative discussion of lessening the penalties for this form of the drug. If you have questions about possession of a controlled substance in Richmond, Henrico, Hanover, Chesterfield, or the surrounding counties, please contact the attorneys of Winslow & McCurry, PLLC at (804)423-1382 or email us at info@wmmlegal.com.